I purchased a serial number but it doesn't activate? - Make sure you copy and paste the serial number from the order confirmation e-mail (don't try to type it using your keyboard). - Include the complete serial number. - Make sure you are connected to the internet and that your firewall is not stopping traffic. I lost my Paddle serial number. How do I get it back? Just enter your email address below and we will send you all the records again. I lost my eSellerate serial number. How do I get it back? Just go to the eSellerate Support Center and follow the instructions. 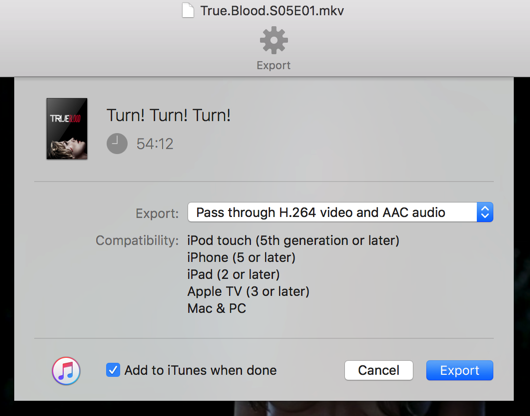 I have purchased from the Mac App Store but the app still asks for a serial? Apps purchased in the Mac App store doesn't use serial numbers. You are probably using a demo version of the app downloaded from this site. Remove all demo versions of the app from your disk and download the version you purchased from the Mac App Store app. It will not ask you for a serial number. The short answer is, you can't. Apple has protected their movies with a DRM system called FairPlay. As a third party developer we have no access to those frameworks. Send feedback to Apple and let them know what you think! How do I change the subtitle appearance on macOS? Go to System Preferences… -> Accessibility -> Captions and add a subtitle style that suits you. More info at this Apple support page. How do I change the subtitle appearance on iOS? 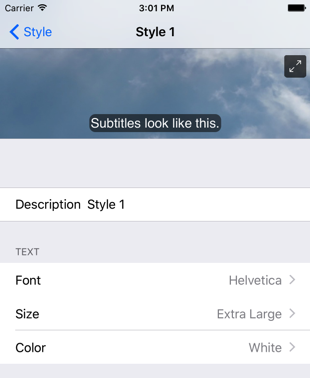 Go to Settings -> General -> Accessibility -> Subtitles & Captioning -> Style and add a subtitle style that suits you. More info at this Apple support page. How do I change the subtitle appearance on tvOS? Just follow the instructions on this Apple support page. I got an error when exporting a movie. What went wrong? If you got an error when exporting there’s a log file from FFmpeg that will include the error. You find it in the Export Queue window at the bottom right corner. If you don’t understand any of this just attach the log to a mail and send it to [email protected]. The subtitles are not in sync with the audio. How do I fix this? 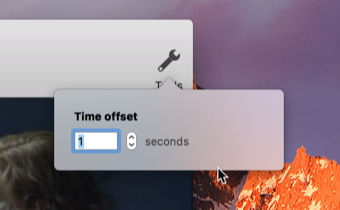 You can use the Time offset feature under Tools to move the subtitles backwards or forwards in time. If you have a positive value you will move the subtitles forward in time, i.e. they will appear later. It’s the opposite if you have a negative value, the subtitles will appear earlier. Can I add subtitles to a movie and just save it without exporting? Yes, if the source file is an MPEG-4 file (.mp4 or .m4v) you can open it in iSubtitle and add subtitles, chapters and metadata and just use File->Save. The changes will be written to the file immediately without any re-encoding whatsoever. How do I setup the video encoding parameters for that perfectly looking exported movie? The nice thing is that you don’t need to. iSubtitle will suggest the best export options by looking deeply under the hood of the source movie. Sometimes it doesn’t need re-encoding at all. All this is handled for you in the export sheet when you hit Export. Just let iSubtitle choose, check compatibility and off you go. It’s that easy! The metadata found was wrong. How do I fix this? iSubtitle will use the title of the movie when searching for metadata at themoviedb.org. Sometimes the title is just not enough or it just doesn’t describe which movie we are dealing with. But that’s really easy to fix. Just enter another title in the metadata popover and hit search. Voila! There’s the correct metadata for your movie! I can’t find the exported movie. Where is it? Submerge will export your movie to it’s designated export folder. Just hit the button with the magnifying glass in the Export Queue window to reveal your file. By default it’s in the Submerge folder in your Home->Movies folder. If you want to change this just go to Preferences->General and select another folder for your exports. Looking for support for older app versions? Still haven’t found an answer to your question? Don’t hesitate to use the contact form.